The shiny new Kinect is here. The star child of Microsoft certainly gives you a feeling of wonderment when first trying this technological wonder. While the device certainly is an item that bridges much of the age gap in gaming, maybe even bringing families together for active playtime in the home, one can only hope that it inspires more than the novelty games. Games with more story depth to them and full body sensor movement would keep this technology at the top for some time. Will games down the line end up needing extra controls for the full immersive experience? It will be interesting indeed to see just how far the developers can push the envelope with out needing other controls. If not pushed, we may be doomed to see dozens of fight games and exercise and cutesy pet the fuzzy virtual animal games. For now, the Kinect is a shiny new exciting toy, that some may wait to see what other games come out for it before getting too excited. The sensor itself is a horizontal bar connected to a base, which pivots, by use of a motor system. Depending on how you have your T.V, it sits nicely just under the video display. 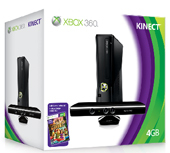 Kinect has an RGB camera, depth sensor and multi – array microphone, providing full-body 3D motion capture, facial recognition as well as voice recognition. The Kinect works surprisingly well; I know Microsoft put its baby out on display at various expos all over the world….but I for one wanted to see how well it performs in a regular environment. Heavy lighting or dim lighting the system worked bang on. However, when the system takes a picture for a game profile more lighting is perhaps best. For those who already have issues with walking and chewing gum at the same time, the sensor will take some getting used too. Both Donna and I took to the whole you are the controller thing easily. Dashing about, jumping and flapping our arms or punching the hell out of virtual targets. This thing will give you a work out. Navigation on the Xbox dashboard is easy, though grabbing the good ol controller to do so some times seemed a lot faster, or more like more familiar. 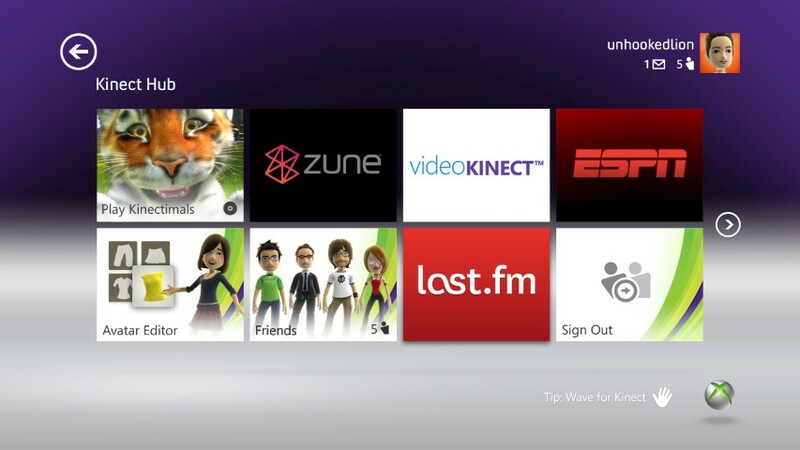 Navigating menus and looking up games, movies and extras in Xbox live; I tended to opt for the hand controller when getting into deeper menus. Voice commands do work very well as well. The beginning there is some set up and it is fast and simple. With all the movement to be involved, players understandably need a good-sized play space. Shoo any animals out of the way too or they will be trampled or trip you up. Yes, any cats or dogs stepping into the sensor area under you is captured by the sensor and causes the sensor to track the animal as if it was a part of the player. While some users have noted some lag in the time the sensor captures movement and relays it to screen, I have not really noticed this. Not unless a millisecond of lag is an earth shattering game breaker. So far, it is not. The only thing that can limit this is the play space required. I see moving some furniture in many gamers futures. 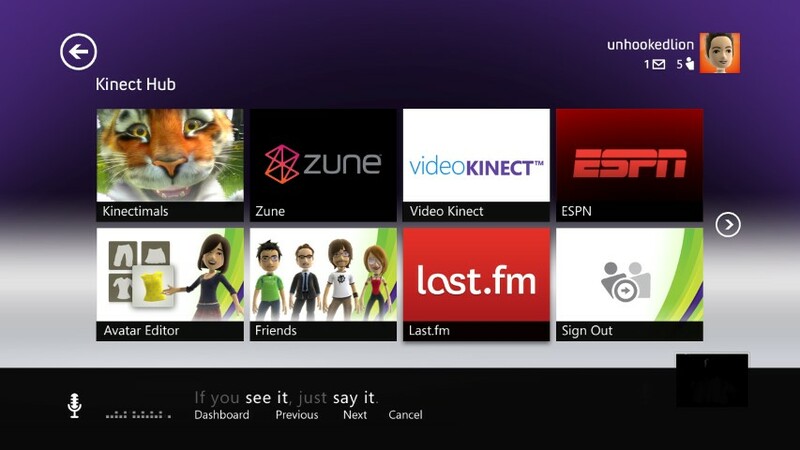 I do see some potential problems, not with the Kinect Sensor, nor the games that are out or coming out down the line. More like possible issues with players that may harm themselves when trying to play the games. If you are already balanced challenged, you may want to proceed with caution. If you want to get in shape and have a blast doing it and you love games…oh boy are you in for a treat. Both Donna and I have played a couple of the launch titles (Kinect Adventures, and Your Shape Fitness Evolved…watch for our reviews) and have come away exhausted, excited and totally exhilarated. Playing the games with the Kinect got us grinning ear to ear, what a fun rush. The only thing holding it back at this stage is the lack luster titles on release with only two that seem worth the while on the list. Some of the dance and fitness games use the system to it's fullest, a wider range of titles not cloning the same concepts will be welcome. The future seems bright, we can only hope that its not just the shine from its newness alone. 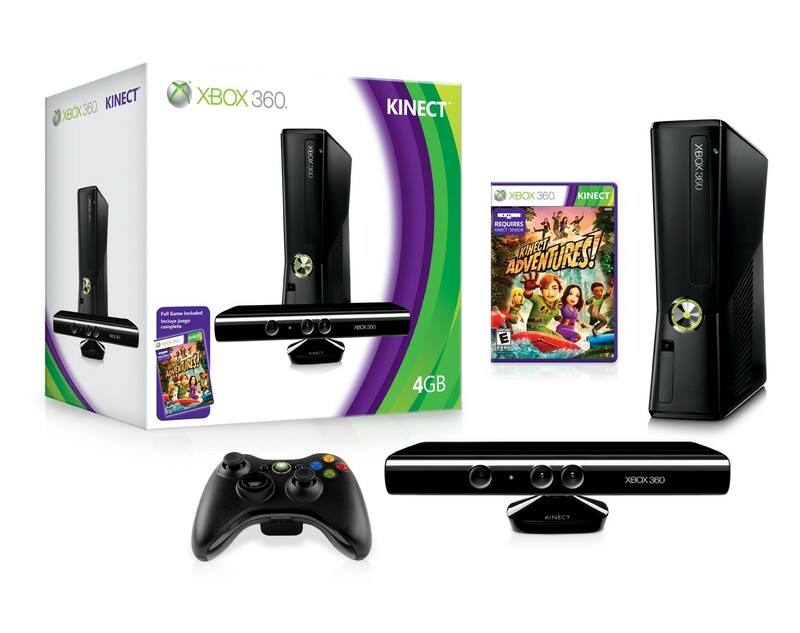 The Kinect for Xbox 360 is a solid bit of technology that has brought the gaming experience to a completely new level.